10,000 square feet of market produce galore has officially opened its doors right here in Mission Bay and it just happens to be a few steps away from ONE Mission Bay. Located on the corner of 4th and Channel Street, this is the fourth location for the proud family-owned and operated business. 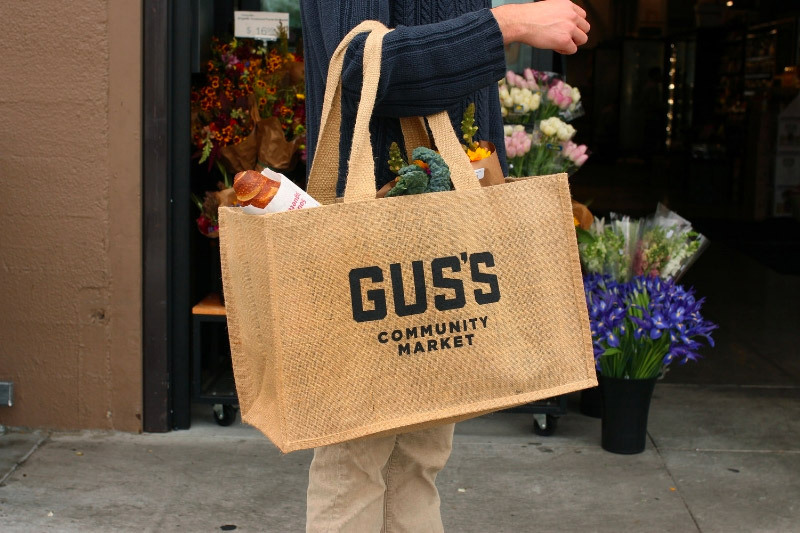 Serving the great city of San Francisco since 1981, Gus’s Community Market has proven to be a local favorite within the neighborhoods they’ve expanded into, and we have no doubt that this new location will only add to their continued success. Following in the footsteps of their previous locations, the market adheres to their mission of selling locally sourced and hand-picked produce from neighboring farms. Aside from the everyday staples of fruits and vegetables, the market is also fully stocked with an abundance of mouth-watering prepared foods as well. Here are just a few of their very notable options—a coffee bar and bakery, full deli serving hot or cold subs, hot foods bar, salad bar, soup bar, sushi bar, a poke bowl making station and more! Even unique to this very location is the implementation of a build-your-own ramen bowl. This allows for customers to choose their noodles, broth, proteins and more to create their desired ramen bowl perfect for a brisk winter day. All meals can even be enjoyed in store or outside at one of their many seating areas paired with a beer or wine from their selection. Whether you are doing a full-on grocery haul, or simply craving an oat milk latte accompanied by an everything bagel, Gus’s Community Market has all that you desire. 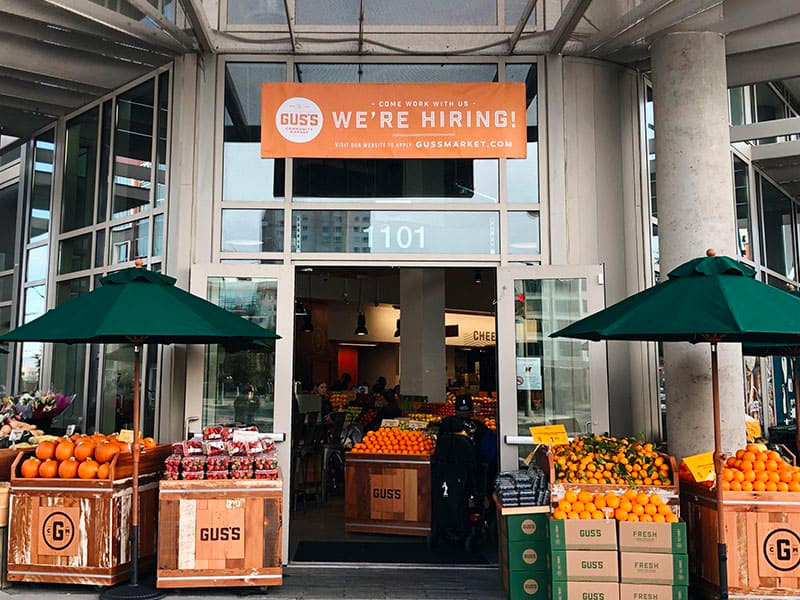 With ONE Mission Bay residents already familiarizing themselves, we look forward to the added sense of community that Gus’s will bring to Mission Bay. For store hours and additional information click here.